Anodising is an electrochemical process that allows you to increase the natural and clear oxide layer which is normally present on the metal surface. Anodising produces a decorative, soil-repellent, corrosion-resistant surface. The surface of the metal is transformed into oxide through electrolysis. The process continues until the thickness of the oxide layer is the desired thickness - usually 5 - 25 microns. The thickness of the top layer is determined by the final application. 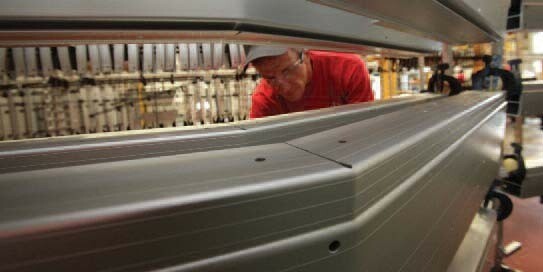 For indoor aluminium extrusion applications, the top layer is between 5 and 15 microns thick. For outdoor aluminium extrusion applications, or for harsh environments, the layer is between 15 and 25 microns. There are two main reasons for surface treating aluminium extrusions. For aesthetic purposes; aluminium’s natural colour (naturally anodised) can be retained or a colour from a wide range of alternatives can be chosen, or to give the surface special properties. 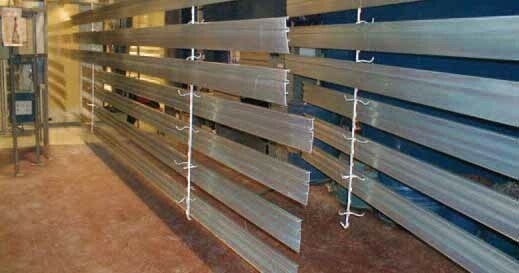 Wet or powder coating aluminium extrusion improves the appearance of the profiles and is very durable. Depending on your preference, the surface can be coated with a matte, satin or gloss finish. Colours can be chosen from the extensive RAL or BS colour ranges or can be matched to any customer specification in flat, metallic or textured finishes.